Whether you need new Industrial Roller Shutters or Industrial Roller Doors, or new Motors for your Industrial roller Shutter and Doors we are here to help. We offer a 24-hour, seven day a week emergency repair service so you have absolute peace of mind that access to and from your premises is always working as it should be – our business is to ensure your business keeps operating. We are a family owned and operated company, that since 1978 has been proudly manufacturing in Australia with Australian made products, which also means we can design and deliver complete solutions tailored to your unique requirements. For your factory, warehouse, workshop, loading bay, carpark or any industrial or commercial premises, our team of experienced engineers understand the operation and efficiency of a well placed and well fitted door, gate or shutter can help improve your convenience, productivity and security. Whether it’s to enable people, cars, trucks, machinery, products or equipment into or off of the premises – we are the experts in Industrial gates, shutters and roller doors in Sydney. Our team of experts are available for a free consultation to advise you on the best solution for your property, while we can also provide an obligation free quote. With our extensive experience we also recommend regular servicing and maintenance of your products including Industrial Shutter Motors, because just like cars, they are a mechanical operation and regular servicing will ensure they continue operating at optimal efficiency for many years to come. We are proud of our reputation in the industry and our client portfolio includes a vast range of businesses and organisations from government institutions to major corporations, supermarkets and retail chains, builders, shopfitters and more. 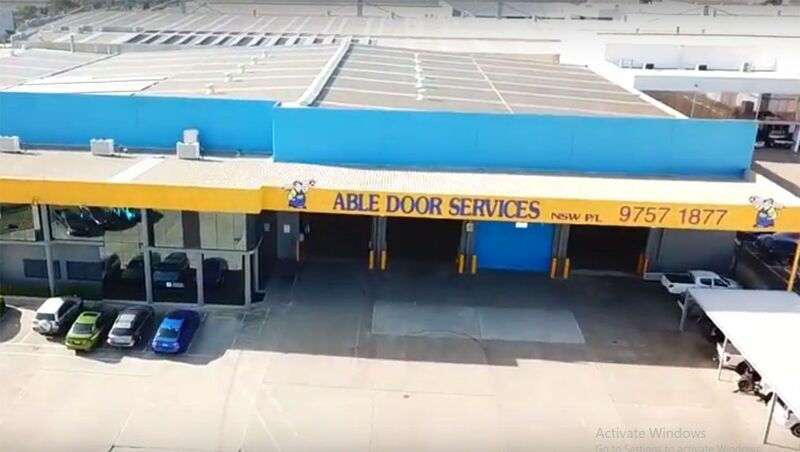 If you want access to leading Australian owned and operated door, gate and shutter experts, who have the know how and can do attitude for fuss free installation, repair, maintenance or replacement of your industrial and commercial roller doors in Sydney, call us today at Able Doors. If you need to upgrade or repair your industrial or motorised roller doors or access gates, fire, car park, windlock or steel shutters, Able Doors don’t just have the products, we also have the experience. as well as a variety of Finishes for each.